APPRISE is the State Health Insurance Assistance Program (SHIP) for Pennsylvanians age 60 and over created by the Pennsylvania Department of Aging. APPRISE Health Insurance Counselors help older Pennsylvanians understand their health insurance options under Medicare, long term care insurance, Medicaid, and Medicare Managed Care Programs, and other health insurance and public benefit programs. Aging is becoming increasingly complex, and living in a fast-paced society is not easy! Through the Union-Snyder Agency on Aging’s APPRISE program, trained staff and volunteers can provide Counseling, Education and Outreach to assist you with your insurance-related needs! Medicare is health insurance run by the Federal government for people age 65 or older, under age 65 with certain disabilities, and any age with End-Stage Renal Disease. The different parts of Medicare help cover specific services. Medicare Part A is hospital insurance, Medicare B is medical insurance, and Medicare D is prescription drug coverage. For 2015, Medicare A covers inpatient care while in a hospital, after a deductible of $1260/hospital stay. Medicare B covers 80% of doctor services, outpatient care and some preventive services, after an annual deductible of $147. The current Medicare Part B monthly premium = $104.90 for anyone with income <$85,000/single; $170,000/couple (higher premiums if higher income) . To qualify for Medicare, a person needs to be 65 years of age or disabled for 25 months. There is no age limit for persons with End Stage Renal disease or with ALS. To schedule an appointment with a Union Snyder APPRISE counselor, please contact the Agency directly at 570-524-2100 or 570-374-5558. Phone appointments are also available. 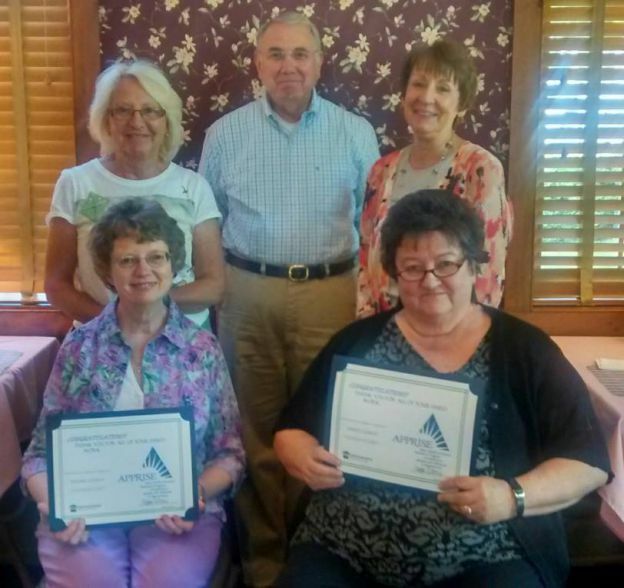 USAA APPRISE provides ongoing community programs for those who are new to Medicare. Please contact the office for available educational opportunities. EXTRA Help can help lower your prescription co-payments and premiums and cover the cost of the coverage gap (Donut Hole). To qualify, you must meet the following guidelines. Medicare Savings Program (Buy-in) can help you with the payment of your Part B premium and possibly with the payment of your Medicare Part A and Part B cost-sharing. To qualify, you must meet the following guidelines. PACE and PACENET program helps to make prescription drugs more affordable for seniors in Pennsylvania. Individuals who qualify for the PACE program pay a $6.00 co-pay for generic medications and a $9.00 co-pay for brand name medications. To be eligible, a person must be age 65 or older and have income from the previous year of less than $14,500 for single person and $17,700 for a married couple. You must be a Pennsylvania resident for at least 90 days prior to application. The PACENET program extends the income eligibility levels a bit further to make affordable drugs available to more people. To be eligible for PACENET, a single person must have an income from the previous year between $14,500 and $23,500. A married couples’ annual income must be between $17,700 and $31,500. This makes them eligible for modified PACE benefits. Pennsylvanians who are eligible for PACENET must enroll in the program. Each enrollee has a $40 per month deductible which will be cumulative if not met each month. Once the enrollee meets the deductible, the individual will be subject to a co-pay of $8 for generic drugs and $15 for brand name drugs. Income for both programs includes, but is not limited to Social Security and pensions, taxable IRAs and annuities, interest, dividends, capital gains, wages, rental and business income, worker’s compensation, unemployment compensation, gifts exceeding $300 and life insurance benefit payments exceeding $5000. Assets are not considered as income. Applications for both programs are available at our office or you can apply on-line. Older Pennsylvanians may qualify for a rebate of up to $650. The amount of the rebate payments varies according to an individual’s income and the amount of rent or property taxes they paid. The program is funded by the Pennsylvania Lottery. Applications for rebates must be filed with the Department of Revenue between January 1 and June 30 every year. The application forms and instructions may be obtained at the Union-Snyder Agency on Aging, Inc., your local State Representative’s Office or on the PA Dept of Revenue’s website. To qualify you must be aged 65 or older, a resident of Pennsylvania, have an annual income that does not exceed $15,000 (only 50% of your income from social security or railroad retirement benefits counts) and you must have paid rent or property taxes (even those who live in facilities or subsidized housing can qualify for the rebates.) The income limit for home owners is $35,000. Should you need assistance completing the forms, the staff at the Union-Snyder Agency on Aging, Inc. is available to help. Retired residents of Pennsylvania may be eligible to register their automobile for a $10 fee instead of the usual $36. Any Pennsylvania resident who is retired and receiving social security or other pension and annuities that do not exceed $19,200 annually is eligible. Consumer can apply for this program online via the COMPASS application. The Senior Farmers’ Market Nutrition Program (SFMNP) awards grants to States, U.S. Territories, and federally recognized Indian tribal governments to provide low-income seniors with coupons that can be exchanged for eligible foods (fruits, vegetables, honey, and fresh-cut herbs) at farmers’ markets, roadside stands, and community-supported agriculture programs. This program typically runs from June to September. For more information on all available programs, please visit Office of Veteran’s Affairs website. For information on these, or other programs that may be available to you, contact the Union-Snyder Agency on Aging at 570-524-2100 or 570-374-5558. Most APPRISE counselors are concerned citizens who have a question or issue regarding their own health insurance. Once they find the answer, they want to learn more and share what they have learned with others. become a counselor, a speaker, an assistant, a data entry person, or even a writer. Whatever your talents or schedule may be, there is an opportunity for you. 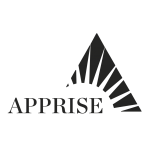 For more information, contact one of our APPRISE Coordinators.